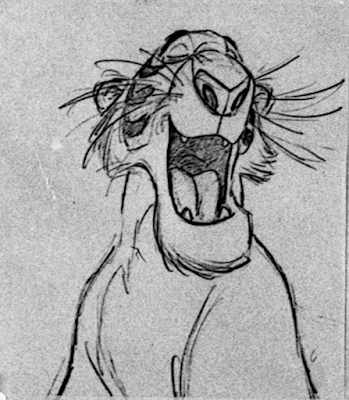 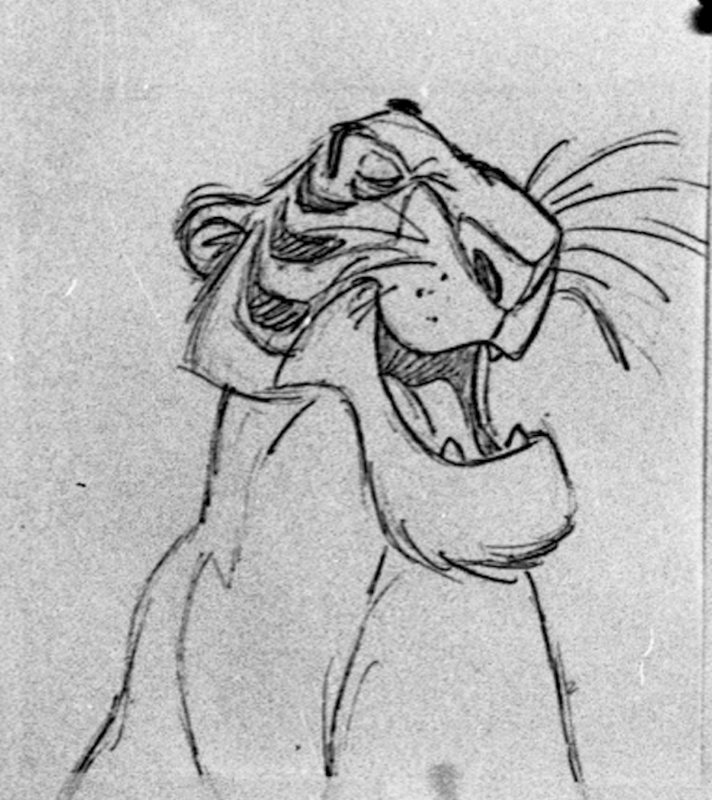 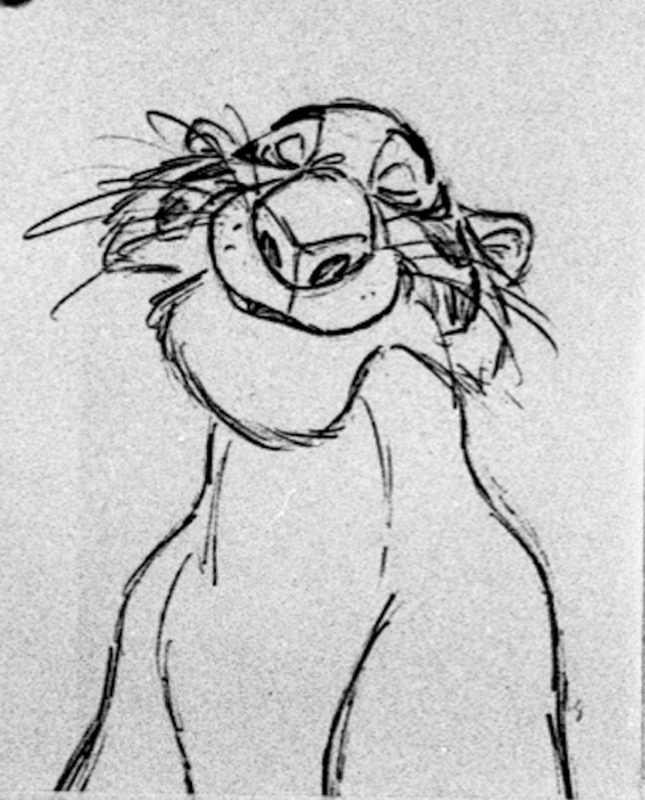 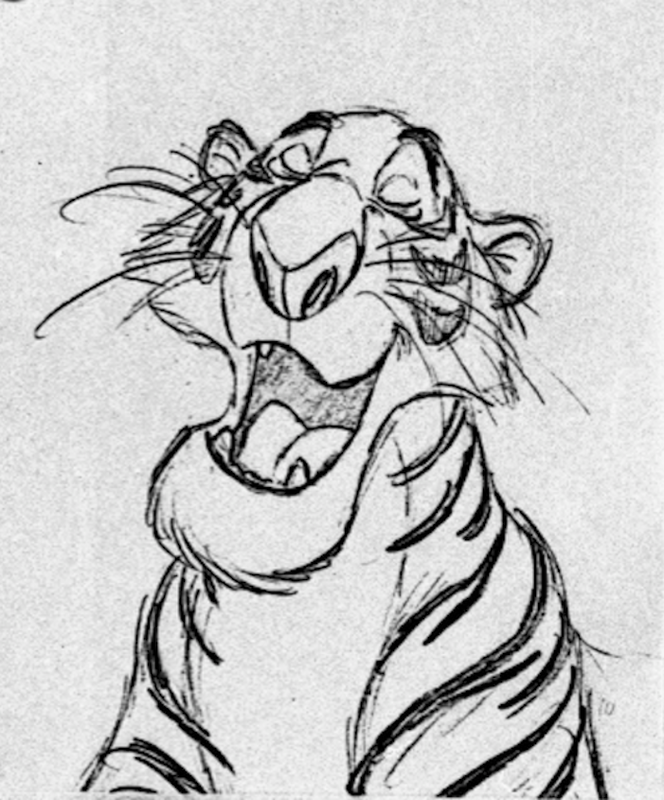 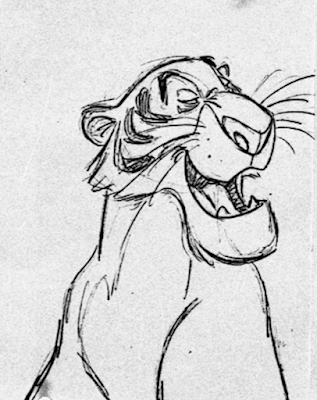 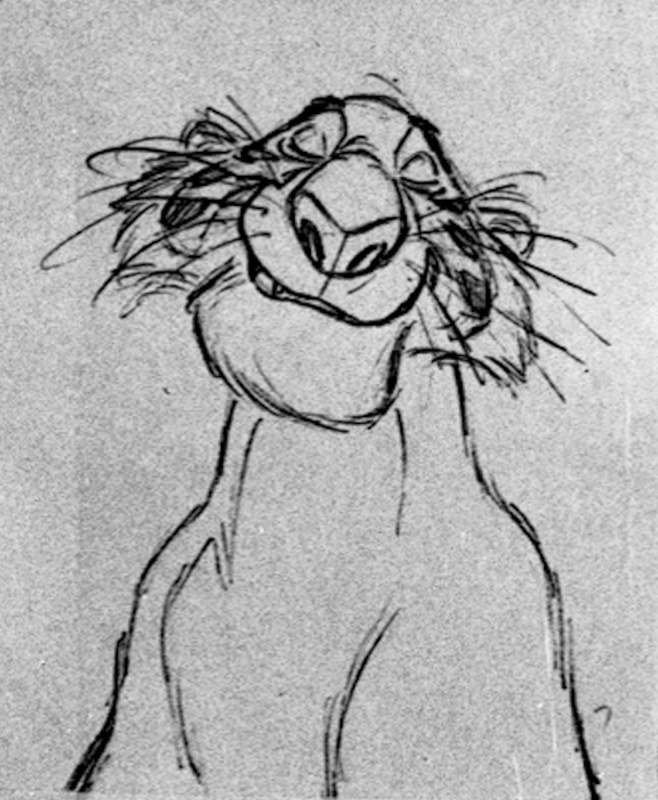 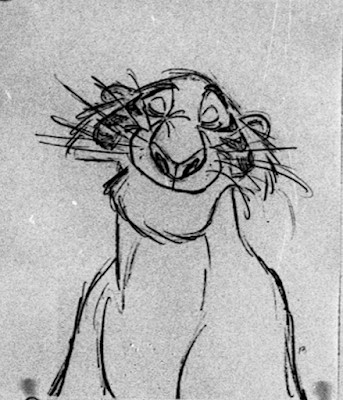 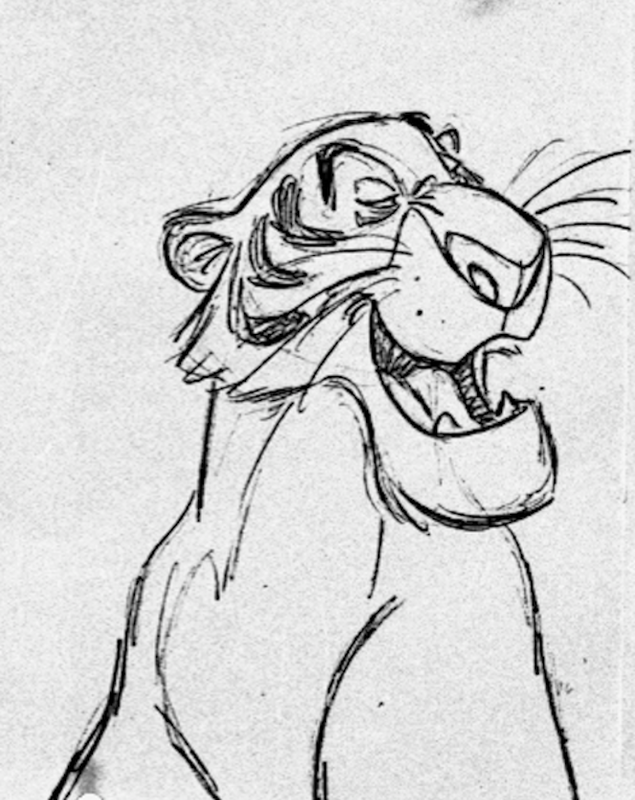 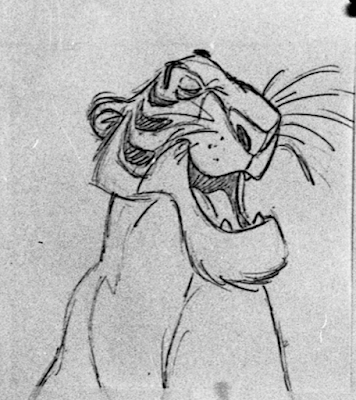 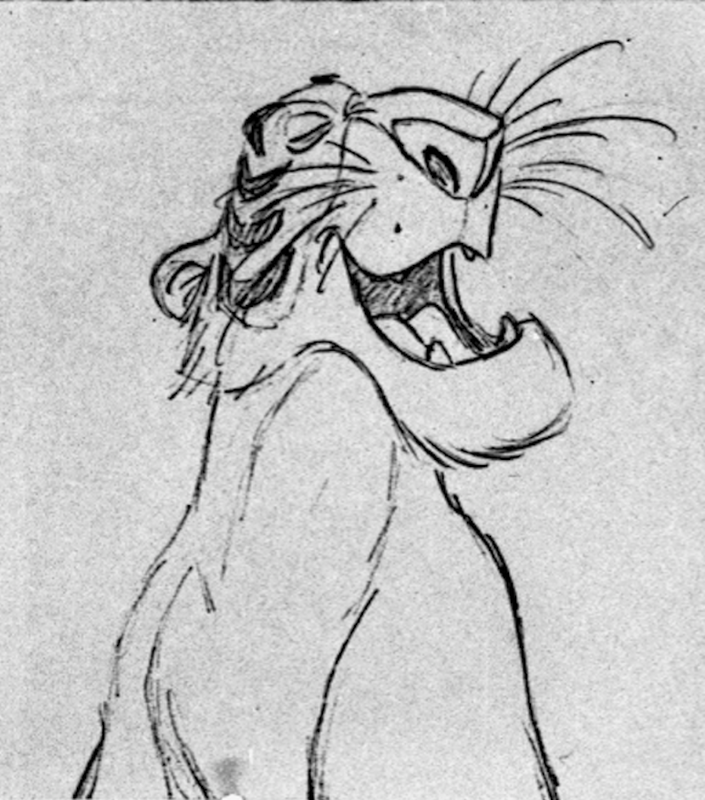 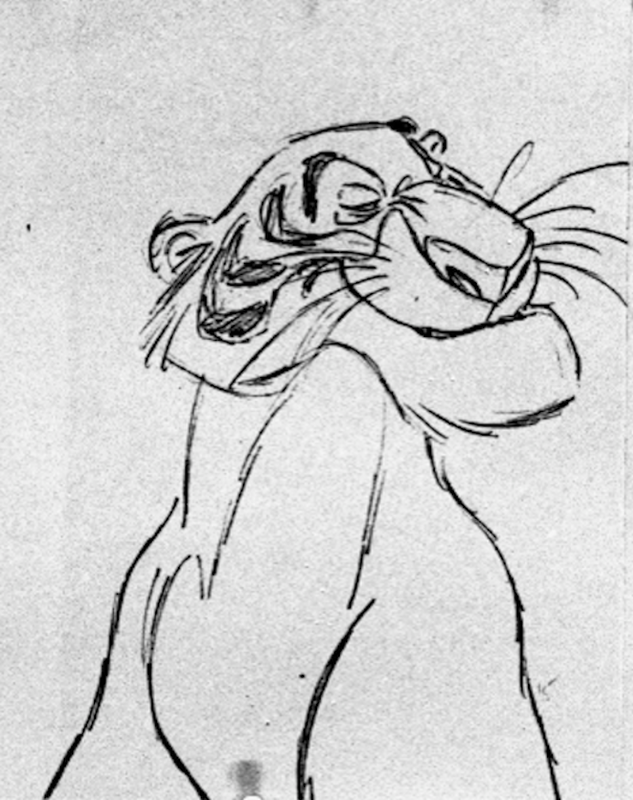 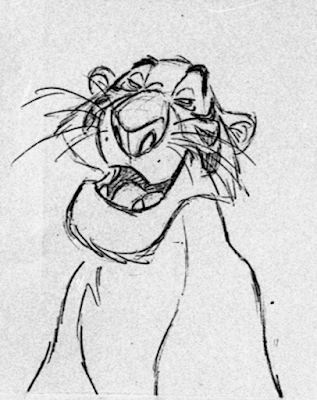 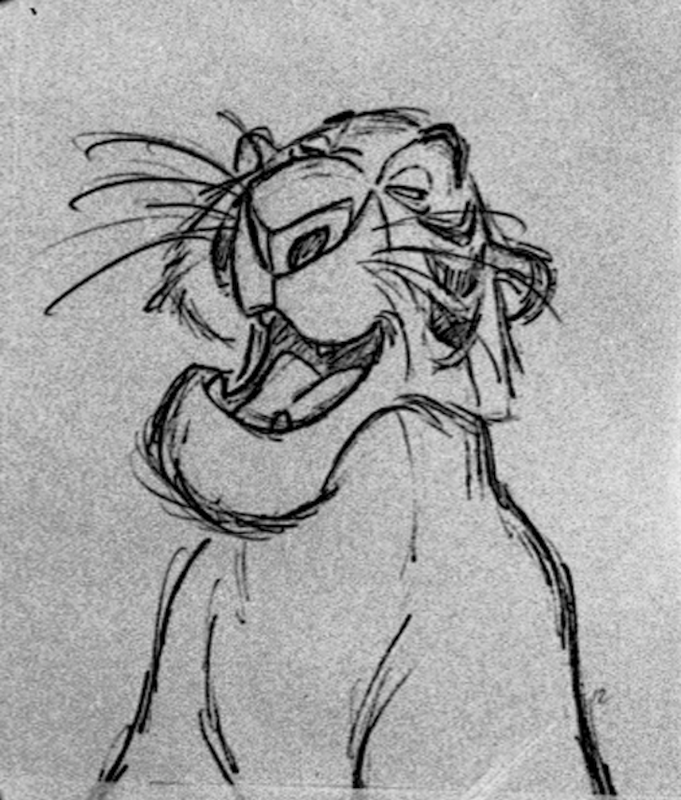 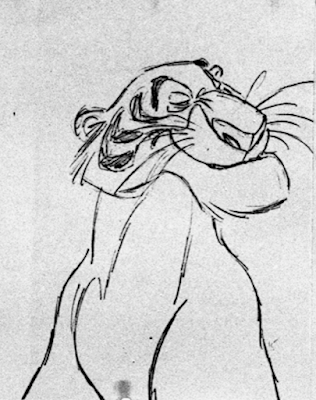 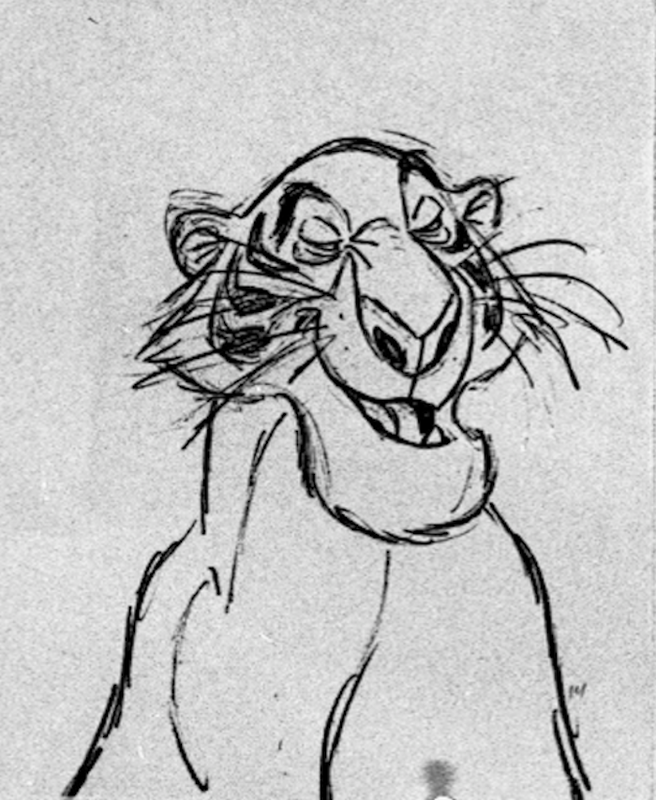 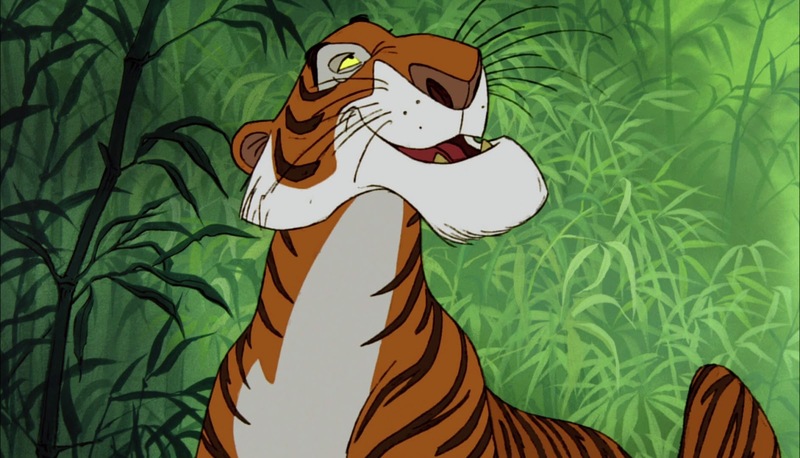 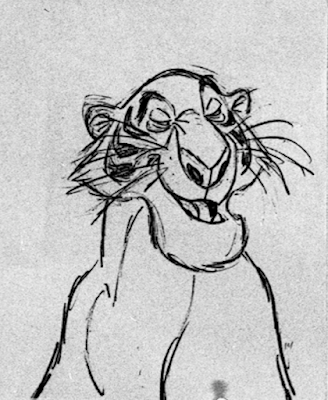 Another post showing rough animation drawings by Milt Kahl for a Shere Khan scene. 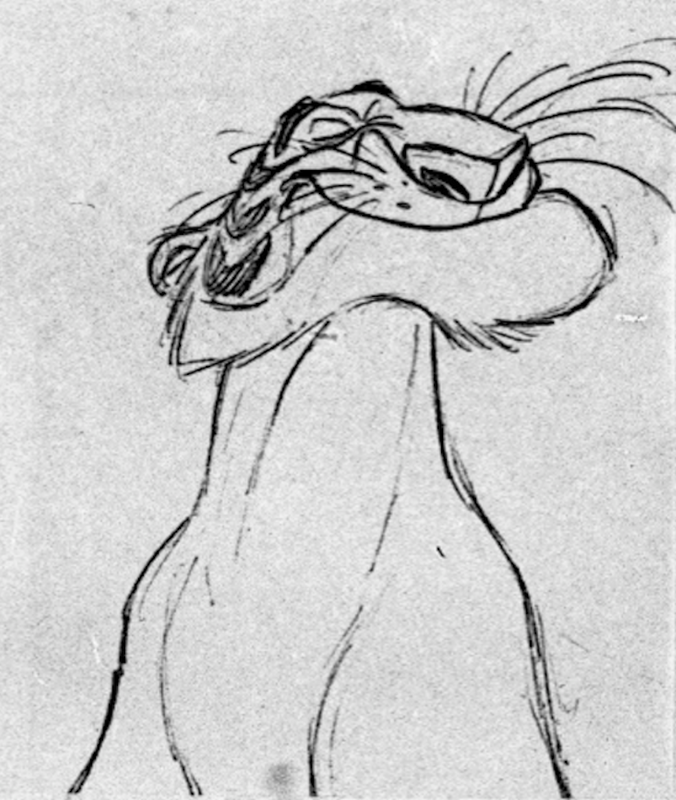 This is Seq. 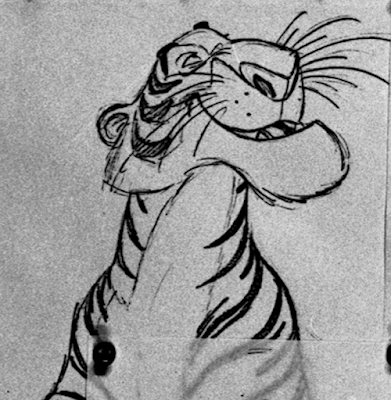 8.1, Sc. 102. 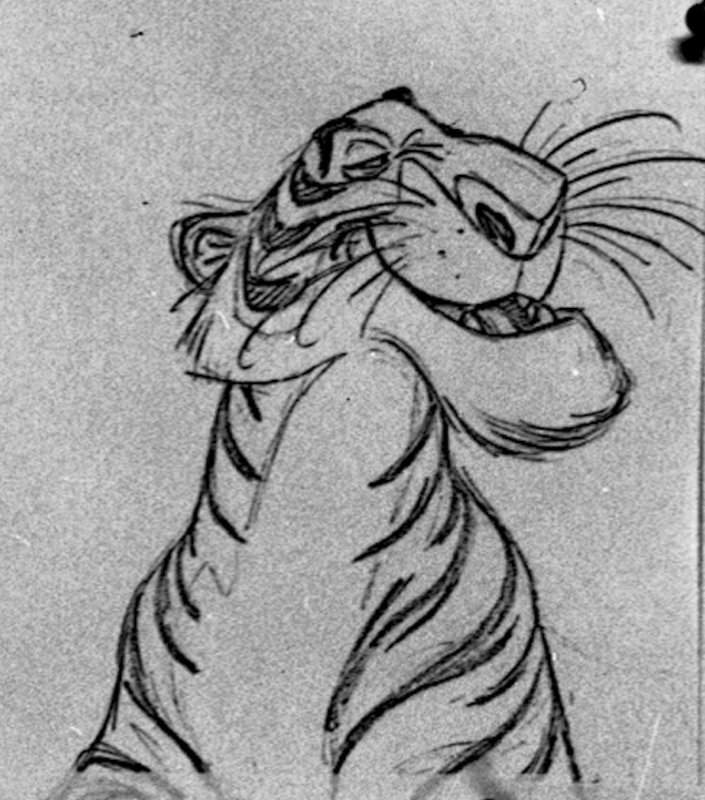 The tiger is interacting with Kaa, who has just said: "Shere Khan - what a surprise!" The response in this scene is: "Yes, isn't it? 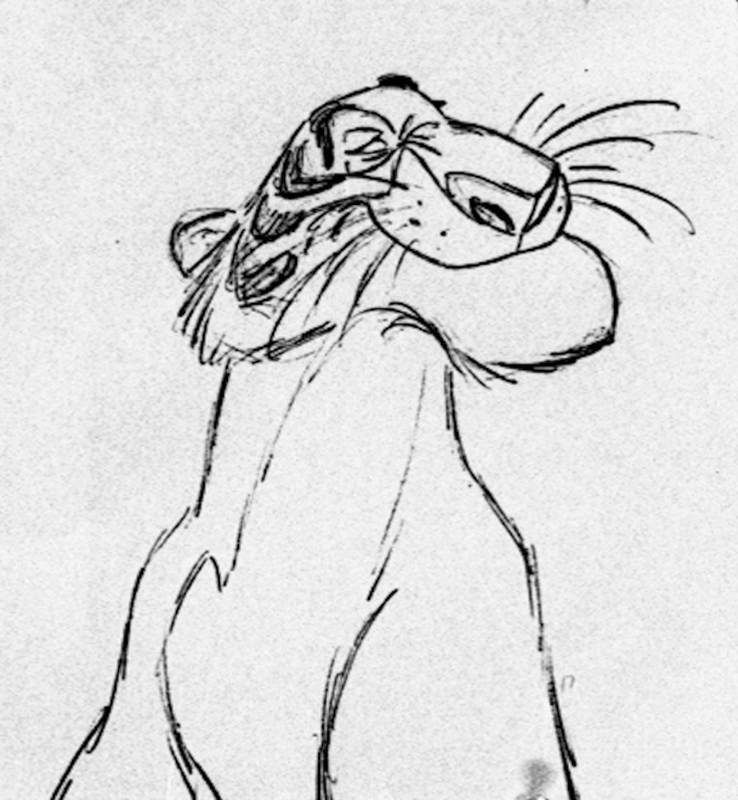 I just dropped by. 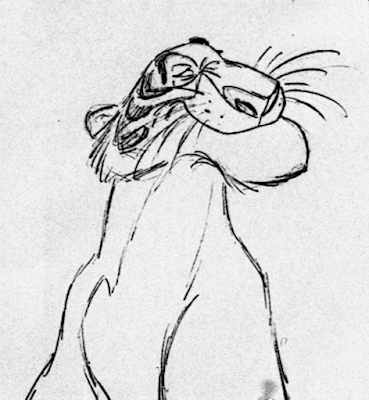 Forgive me if I interrupted anything." 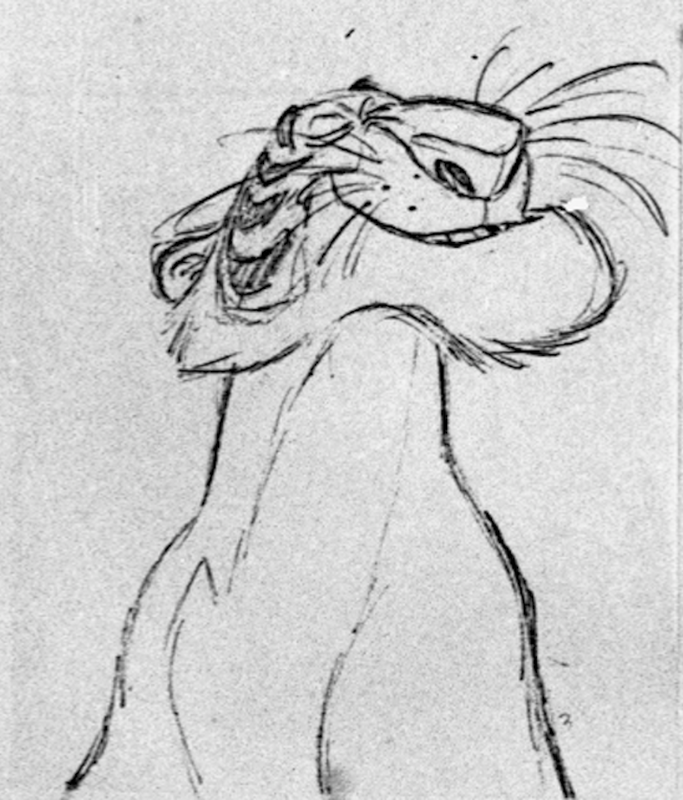 Beautiful controlled head movement, and nice squash and stretch on the muzzle. By looking up toward the tree top he is letting the audience -as well as Kaa- know that he suspects something.